WOW.. what a sun gazing session it was! We had set three telescopes there, two with Solar filter on and one halpha solar telescope with a binoviewer at the eyepiece end. 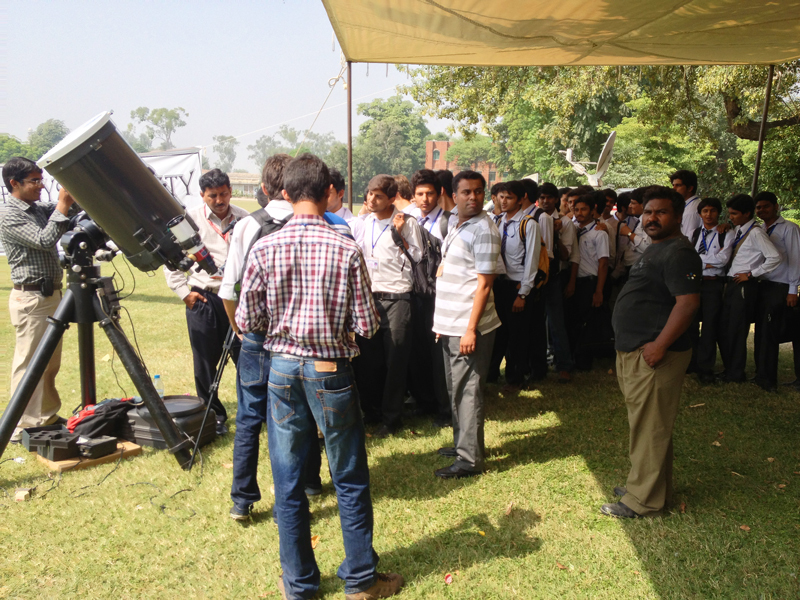 For three hours, students and faculty members kept on coming to our telescopes and most of them saw the solar surface first time in their lives. I heard many many 'WOWs" during that time period. It was a hot day and i with many others were trying their best to fight off the heat with all our astro will. We were asked all sorts of question about how the sun generates such massive energy and what does individual feature on the solar surface mean, which they all were watching through these telescopes. I am very grateful for the media folks from Express Tv Channel, to have come there and recorded all the event and stayed there till the end. I am also very thankful to "Benade Physics Society" of FC College and specially their president Amina Saleem. 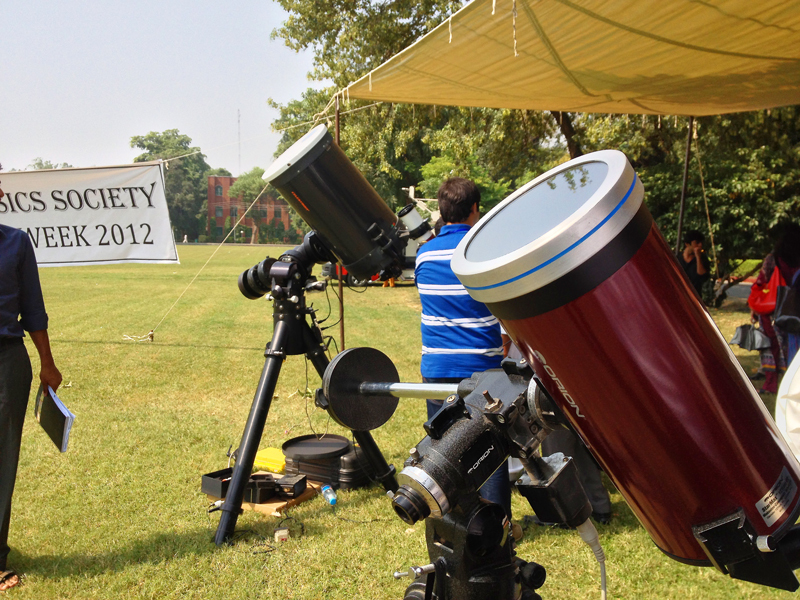 As always, the members of Lahore Astronomical Society always find time to arrange such events. Special Thanks to Maroof Mian, Ali Khan and Muhammad Ali.